Jay Brown’s dad was one of the most inspirational people in his woodworking career. 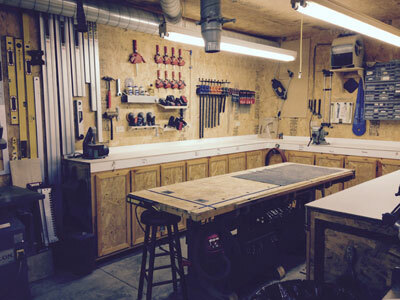 Starting with the ‘tater bin’ they built together when Jay was in his 20’s, the father-son team collaborated on more than one woodworking shop, including their ‘dream shop’, featured in the April issue of Wood News. Take a closer look at the shop Jay has dedicated to his dad.